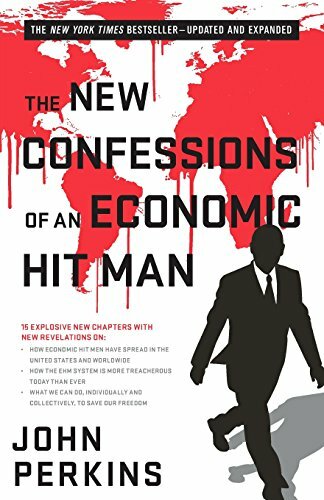 New Revelations: Featuring 15 explosive new chapters, this expanded edition of Perkins’s classic bestseller brings the story of economic hit men (EHMs) up to date and, chillingly, home to the US. Over 40 percent of the book is new, including chapters identifying today’s EHMs and a detailed chronology extensively documenting EHM activity since the first edition was published in 2004. Economic hit men are the shock troops of what Perkins calls the corporatocracy, a vast network of corporations, banks, colluding governments, and the rich and powerful people tied to them. If the EHMs can’t maintain the corrupt status quo through nonviolent coercion, the jackal assassins swoop in. The heart of this book is a completely new section, over 100 pages long, that exposes the fact that all the EHM and jackal tools—false economics, false promises, threats, bribes, extortion, debt, deception, coups, assassinations, unbridled military power—are used around the world today exponentially more than during the era Perkins exposed over a decade ago.